Part of the Hawaiian islands were put under a hurricane watch Tuesday as major Hurricane Lane advanced toward the American archipelago in the central Pacific. Lane, a Category Four storm, was expected to make a turn toward Hawaii later in the week, forecasters at the Central Pacific Hurricane Center said. 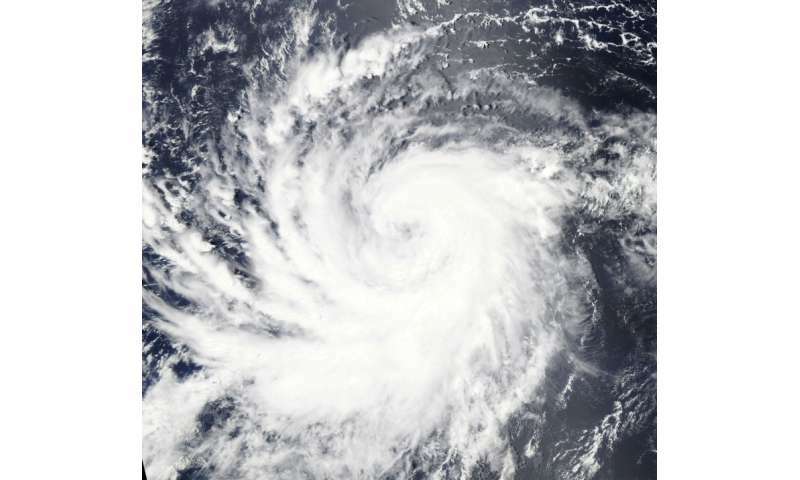 The storm was packing winds of 150 miles (240 kilometers) per hour and was 620 miles (990 kilometers) southeast of Honolulu at 1500 GMT, the center said. Hurricane watches were issued for Hawaii, the chain's biggest island, and Maui, Lanai, Molokai and Kahoolawe, the center said. The eye of the storm is projected to pass near Hawaii and Maui on Thursday, bringing hurricane force winds, heavy rainfall and large swells, it said.